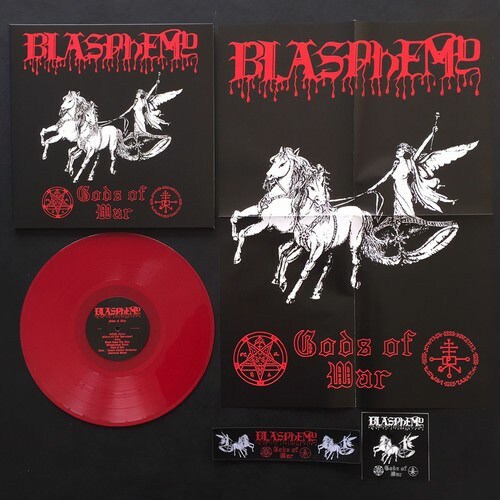 Sometimes overshadowed by the masterful Fallen Angel of Doom LP, Blasphemy’s second and final album, Gods of War, is no less a masterpiece. 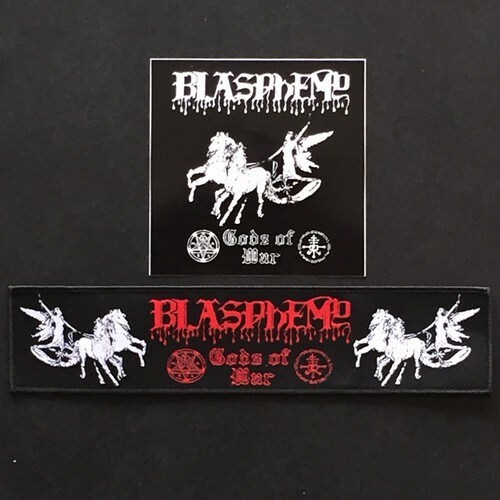 As often happens to bands that are ahead of their time and don’t fall in line with the trends of their day, Blasphemy suffered setbacks following the release of their debut—most notably was the acrimonious relationship between the band and Wild Rags records. Although Fallen Angel of Doom sold very well, Blasphemy received virtually no royalties from the label, and the band sought out a new label to release its sophomore album. Having already released some of the most significant Black Metal albums of the early 1990s, Osmose was a promising choice for Blasphemy, and a deal was made. In the fall of 1992, Blasphemy returned to Fiasco Bros. studio, this time with a larger budget than they had available for their previous recordings. The core lineup consisting of Nocturnal Grave Desecrator and Black Winds, Caller of the Storms, and 3 Black Hearts of Damnation and Impurity all took part in the Gods of War sessions; however, Black Priest of the 7 Satanic Rituals, who played second guitar on Blood Upon the Altar, and Traditional Sodomizer of the Goddess of Perversity, who played guitar on Fallen Angel of Doom, both left the band prior to the second album. Rather than bring in a second guitarist, the band was joined by bassist Ace Gustapo Necrosleezer and Vaginal Commands, leaving Black Winds able to focus exclusively on his vocals. The immediate force of the Gods of War album is undeniable. At just over 20 minutes in length, it is as succinct and powerful a statement as any Black Metal. On prominent display are the band’s Grindcore influences, with several of the tracks clocking in at under one minute. The album also features re-recordings of four tracks from the Blood Upon the Altar demo, this time with fuller production. 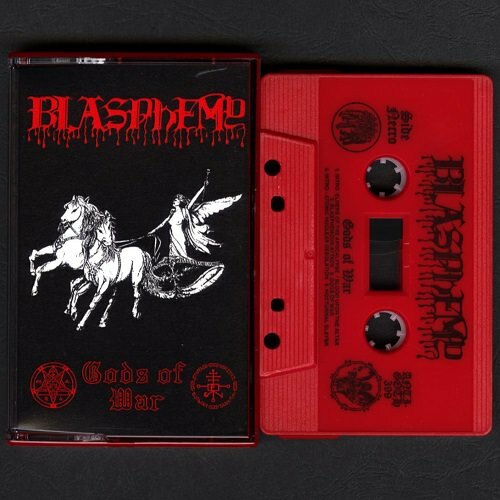 Overall, Gods of War features the most aggressive performances and the heaviest sound of Blasphemy’s studio output. This edition of the Gods of War album is also noteworthy because it marks the first time that NWN! has had the honor of releasing it since acquiring the rights to the recording from Osmose. To mark the occasion, NWN! 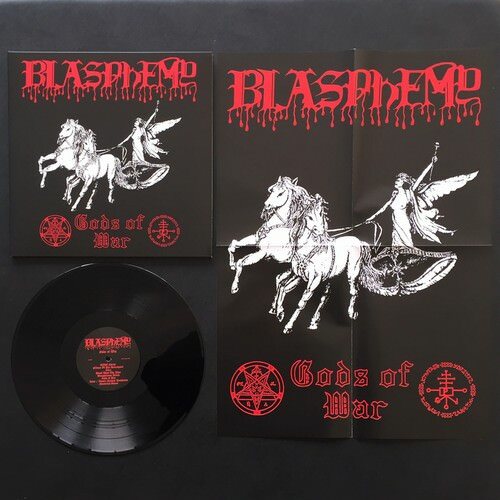 has endeavored to repackage the release with a layout that is more in keeping with Blasphemy’s previous releases, and more consistent with the band’s original vision. Released in conspiracy with Ross Bay Cult. 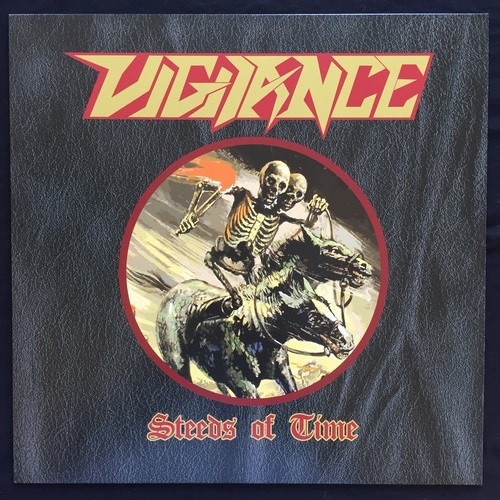 Regular Version: Black vinyl LP, gatefold jacket, 2 sided A2 poster. Die Hard Version: Red vinyl LP, gatefold jacket, 2 sided A2 poster, 9″ strip patch and sticker. Double sided gold print on 100% cotton shirts. Back has the tour dates from the tour that never happened. Available in M, L and XL. 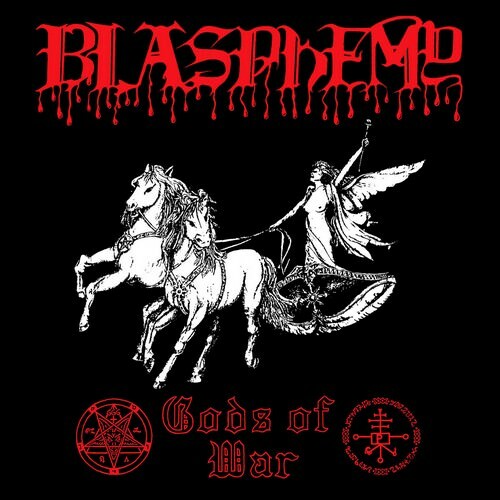 Blasphemophagher New LP Coming Soon! !